This is your one stop virtual reference for real estate concerns. Are you making plans on selling a home, buying a home or seeking for a mortgage refinance? We can guide you find the most basic information needed so you can have the most favorable rates and terms. 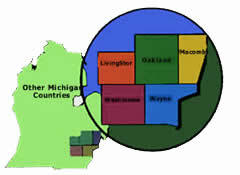 Professional Real Estate of Michigan maintains a specialized relationship with its clients. We take care of you on a one-to-one method. We clarify the uniqueness of your choices and individual conditions so as to give you the most satisfying experience of managing and selling your properties. An assurance of quality and a peaceful mind makes our team sought out by many owners and businessmen. We know how the market moves and we help you locate yourself at the proper period. With an open and honest interaction, we can better understand your needs and how we can resolve them. We never stop searching for leading edge resources and tools to serve you better. Our connections can help you find the most reliable options in the mortgage industry today. If you are looking for the best realty buddy, you've finally found your match! Please contact us at - (248) 250-1154.